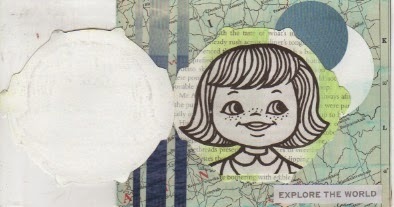 The Postal Ledger: Brook Cooks gets vicarious pleasure from mailart maps! Brook Cooks gets vicarious pleasure from mailart maps! While some get sad when the light dims and the snow and inclement weather press in, Brook Cooks takes out her collage supplies and satisfies her urge to travel by sending mail art a little further than the 250 miles she'll go to Portland. 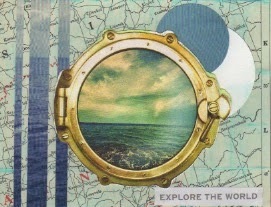 Mail art is magic and this harmonious piece helps me remember how interconnected we all are! Many thanks Brook!